WASHINGTON — Women navigate many changes in their lives when transitioning from being married to becoming single again. From adjusting to different living arrangements and sharing child custody, to determining future income and just being single again, the transitions can be unsettling. Amid all this change, it’s easy to lose sight of some of the subtler aspects of your finances — namely, your taxes. While this is one of the more complicated areas of managing your finances, you can simplify the process by realizing that most post-divorce life changes will correlate to a change in some aspect of your income taxes. Here are a few examples of life changes that may trigger tax changes after a divorce is final. This is the easiest of the tax-planning areas to understand, because the rules are simple. Your federal filing status is determined by your marital status as of Dec. 31. Once your divorce is final, your filing status will change to one of two options — either single or head of household. The main difference is that head of household has additional requirements related to maintenance of a household for a child with that home serving as the primary residence for them for more than half of the tax year. If your divorce in not yet final, you may want to consult with your tax adviser or attorney, as the laws for filing while you are separated differ by state. In cases where you retain the home, but the mortgage is shared with your ex-spouse, the matter of who takes deductions for mortgage interest and real estate taxes paid becomes a question. Generally, both ownership of the home and actual amounts paid for the mortgage dictate who gets to take the deduction and for how much. So if you are sharing a mortgage, the deduction included on your tax return should reflect your proportion of the expenses paid. If your ex-spouse is paying something toward the mortgage post-divorce, they too have the right to take deductions in proportion to the amount they are paying. Sometimes, couples will retain joint ownership and share mortgage payments even after the divorce, most likely because of young children. In that case, deductions should be split 50-50. Bear in mind that the IRS usually awards the right to claim the deduction to the party that proves payment came from separate funds. Because home mortgage interest and real estate taxes are generally one of the most significant itemized deductions in reducing your overall tax bill, it’s critical to have a clear understanding of who has the right to claim the deduction and accurately account for those payments. If you’re still in negotiations, be sure your lawyer includes this as part of your divorce settlement agreement. Another deduction to address in the divorce settlement agreement is who will be entitled to claim each child as a dependent. While exemption amounts can change from year to year, the 2017 exemption amount for one child is $4,050 and begins to phase out if the head of household income exceeds $287,650. If the divorce settlement does not specify who gets this exemption, then the custodial parent gets to claim the child. More often, this matter is agreed upon during negotiations, and the exemption is traded or shared with the noncustodial parent by using IRS Form 8332. This could make financial sense for a couple if one spouse is in a higher tax bracket. For example, some typical settlements allow for one spouse to always claim the same child. Of course, that means the parent claiming the older child will run out of the exemption sooner. If that is unacceptable, then the couple usually agrees to trade off years. That means you need to be aware of which child you claimed last year as you will have to include their name and social security number on the return. One distinction is that while exemptions can be negotiated, child-care credits cannot. Only the custodial parent can take child-care credits. It’s rare that your post-divorce income would be similar to your income while married. It’s likely your stream of income is significantly different — from alimony and child support payments to perhaps a return to work. One of the major implications of this change is the need to make estimated tax payments. For example, unlike income from employment, where taxes are withheld automatically from your paycheck, alimony comes to you in full without any tax withholding. That means you’ll need to estimate the income tax impact of alimony and may need to make tax payments at the beginning of each quarter. You might want to enlist the help of a CPA to calculate the amount and file the paperwork for these estimated payments. In the case of earned income from employment, you’ll need to recalculate estimated income tax and consider whether your W-4 should change. One tip is that tax brackets for head of household filers are lower than those for joint filers. So if you were the primary income earner, you may need to withhold more tax by reducing the number of exemptions on your W-4 to avoid penalties for underpaid estimated taxes. If you’re still in the process of transferring assets according to your final settlement agreement, be sure that any retirement accounts transfer to you tax-free. Taxable accounts should include transfer of both the total value of the assets and the associated tax cost basis. Keeping track of cost basis also applies if you make improvements to a home. 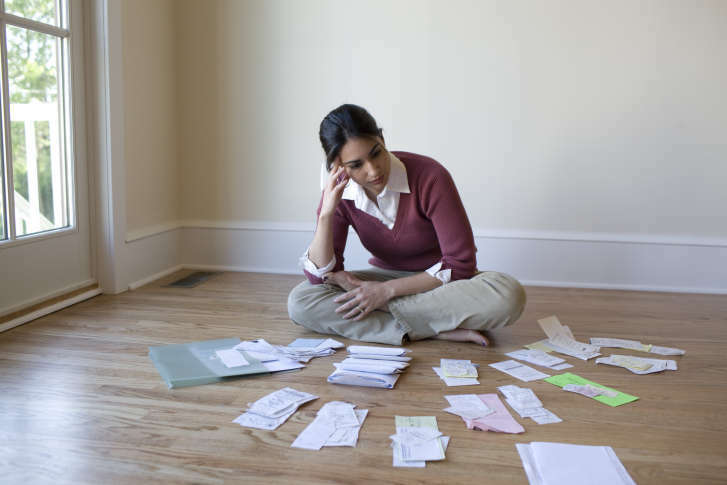 These expenses increase the basis of your home and should be carefully tracked. Once you are in possession of your assets, the focus shifts to understanding your total portfolio and the tax implications of making changes to your investment strategy. Now that you are single, you should review your asset allocation as you plan for your future. Perhaps while you were married, your portfolio reflected a higher level of risk than you are comfortable holding. Or you may need to make a plan for liquidation of assets over time to meet living expenses. These decisions should be made with a clear understanding of their tax implications. While changes may be called for to achieve a target allocation or to implement recommendations from a new adviser you’ve hired, be sure to fully understand the associated tax bill before pulling the trigger. You don’t want to be surprised come tax time, which may be several months away from when you’re making portfolio decisions. This is also a good time to consider how much you have saved toward retirement. You should consider whether you qualify to make additional contributions to either a company retirement plan or an individual retirement account. It’s likely that your income profile has changed from the prior year, meaning you may now qualify to make contributions even if you did not qualify when you filed jointly while married. There are a lot of details to consider, and managing the tax implications of a divorce can be challenging. Now is the time to consider who will assist you in tax planning and tax preparation going forward, especially if your spouse prepared your taxes or managed your relationship with your CPA. In cases where taxes are very complex and assets are held jointly into divorce (i.e., commercial real estate partnerships, joint business ownership), you may want to remain a client of the CPA you used while married. More often, it makes sense for you to search for a new CPA who can serve your needs as a single individual. If you’re in need of investment management or an updated financial plan, you may want to consider a firm that includes all those services under one roof. That will likely save you time and money while also providing an opportunity to establish a long-term relationship with a team of professionals on your terms. Regardless of how you choose a tax professional, it’s important you find assistance to ensure that any life changes you’re making now and into the future are reflected in your tax planning and tax filings. We have also compiled a comprehensive post-divorce checklist that you can download to make sure that you follow through on critical post-divorce actions. Failing to complete these can have significant financial consequences. Because your tax bill is the largest bill you will pay over your lifetime — more than your mortgage or college payments — understanding the subtler aspects of your taxes after a divorce is an important step in managing your wealth.